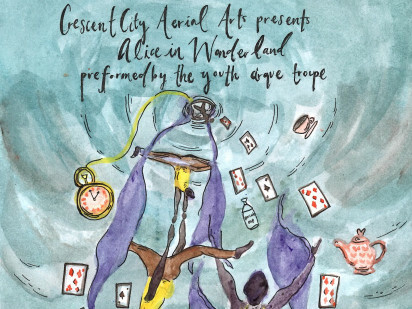 Crescent City Aerial Arts presents "Alice in Wonderland" performed by our premiere youth cirque troupe. Adapted from the classic tale, our all ages family friendly cirque themed show will thrill and delight with physical theater including aerial acts, dance, contortion, and more. Performed in multiple apparatuses, from the floor to the ceiling, journey with us down the rabbit hole into a magical world of cirque theater.